Malnutrition is a condition that occurs when there is an imbalance between what a person eats and the nutrients they need to maintain good health. It’s associated with a weakened immune system, muscle wasting and delayed wound healing, and it costs the U.S billions of dollars each year in medical costs (1). Malnutrition can affect all age groups but it’s much more prevalent among older adults. This article lists five risk factors of malnutrition in older adults. Poor oral health is a major risk factor of malnutrition in older adults. Oral health problems, whether from missing teeth, ill-fitting dentures, cavities or infection, can cause difficulty eating and lead to inadequate nutrition intake (2). Older adults who are poor, lack insurance, disabled, or living in a nursing home are at an increased risk of poor oral health (3). Texture-modified diets are routinely prescribed to older adults in nursing homes that have eating problems, but the mashing and blending of the foods can reduce its appeal and taste (4). Consequently, textured-modified diets can also contribute to poor nutritional intake in older adults (5). Several studies show that malnutrition is associated with cognitive impairment in older adults (6, 7). Cognitive impairment is when a person has problems remembering, communicating or making decisions that affects their everyday life. While some cognitive decline is expected as part of the normal aging process, severe cognitive impairment can lead to an inability to perform activities of daily living such as eating, ultimately affecting food intake (8). People with cognitive impairment are at an increased risk of developing Alzheimer’s disease or other forms of dementia (9). Other conditions such as stroke, traumatic brain injury, and developmental disabilities can also cause cognitive impairment. Polypharmacy is commonly defined as using multiple medications concurrently to manage health problems, such as diabetes and high cholesterol. Among older adults, polypharmacy is common with the highest number of drugs taken by those living in nursing homes (10). Polypharmacy is associated with several negative health consequences, one being malnutrition. One study found that 50% of those taking 10 or more medications were found to be malnourished or at risk of malnutrition (11). Many drugs can contribute to poor nutritional status by causing loss of appetite, nausea, diarrhea, and taste changes (12). Depression is an often overlooked risk factor of malnutrition in older adults. 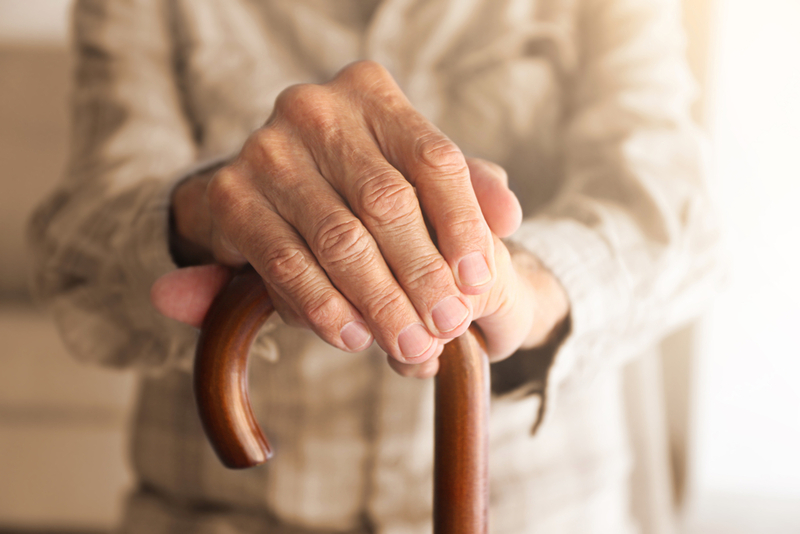 Older adults often experience physiological and environmental changes that are associated with depression, such as isolation, loneliness, and poor financial status (13). Depressed older adults often lose their appetite and experience unintended weight loss resulting in an increased risk of malnutrition. In one study, the risk of depression in older adults with malnutrition was more than 15 times higher than in non-depressed older adults (14). Similarly, another study found symptoms of depression in older adults as a predictor of malnutrition (15). Overly strict therapeutic diets can lead to poor nutrition intake in older adults. A therapeutic diet is typically prescribed for the purpose of controlling the intake of certain foods or nutrients to improve health. For instance, a person with type 2 diabetes may be prescribed a therapeutic diet to help control their blood sugar levels. For frail older adults, however, a therapeutic diet does not offer enough benefits to justify its use (16). Many older adults find therapeutic diets unpalatable leading them to eat less. Overtime, poor food intake can lead to unintended weight loss and malnutrition. With that said, liberalized diets are associated with increased food and beverage intake in older adults (16). Malnutrition is a condition where the body does not get enough of the nutrients it needs. Older adults are at an increased risk of malnutrition for many reasons including poor oral health, cognitive decline and polypharmacy. Depression and overly strict therapeutic diets can also contribute to malnutrition in older adults. As such, it’s important for registered dietitians and other members of the interdisciplinary health care team to recognize the risk factors of malnutrition to provide and support appropriate nutrition interventions.